Add some extra color and depth to your embroidery! Kat will show you how to use crayons and colored pencils to add shading to your design. 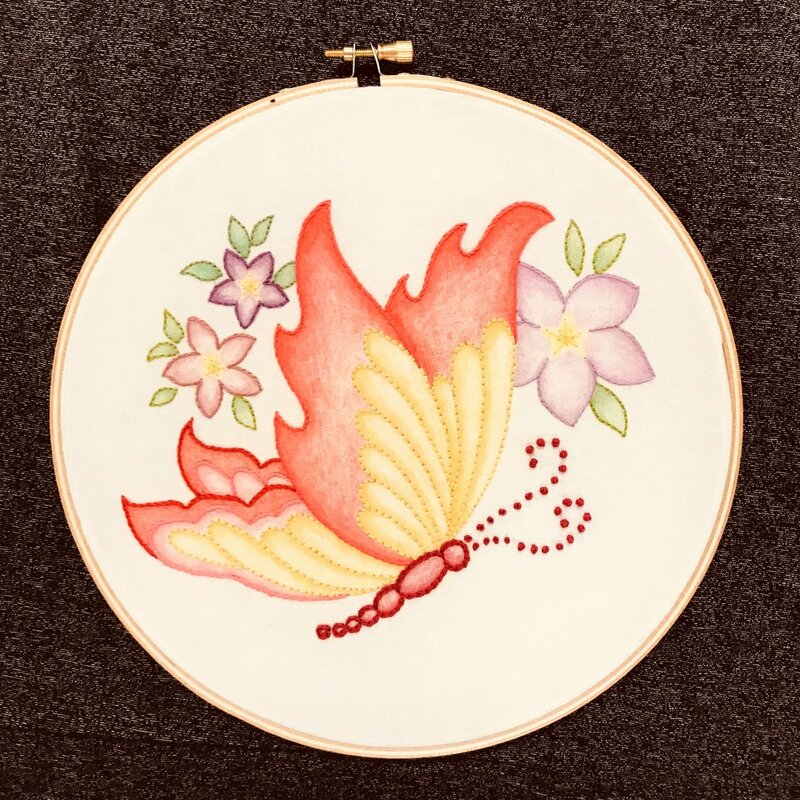 Then, finish your project with a variety of embroidery stitches. Prerequi-site: Embroidery 101 or equivalant knowledge.